Thank you again to those of you who were able to come out and meet for 3-way conferences this past week! It was so nice meeting with all of you and I feel I learned new information to make our school year the best I can for every student! The “Treasure Sale” box has arrived in our classroom. Students may bring small items from home to give to the Treasure Sale. The proceeds of the sale supports our school’s Voyageur Club. I added a “homework” page to the blog last week. The “homework” page is a running record of daily end of day announcements and homework assignments that students copy into their yellow planners. Please bookmark/check the “homework” page for end of day announcements and homework reminders. We finish our work with subtraction math facts this week. Almost every student shows a good understanding of the “adding up” subtraction strategy. 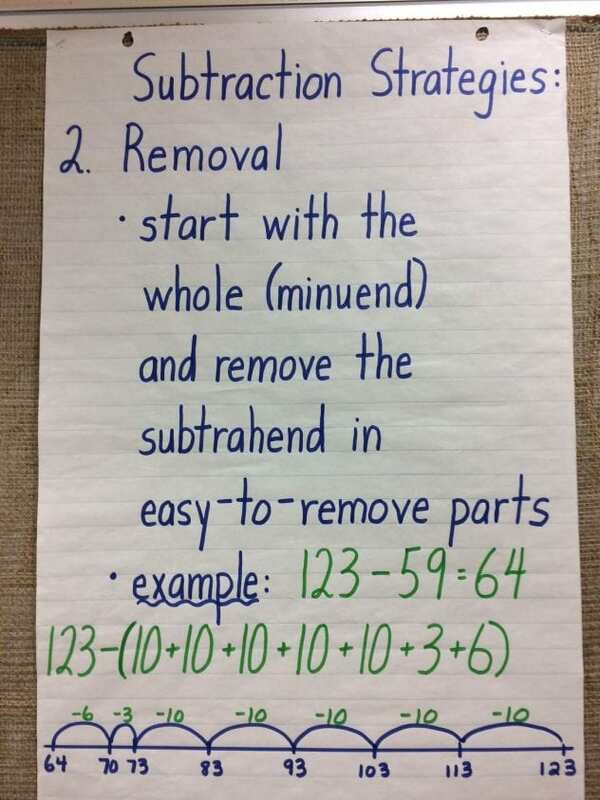 This week, we will focus on the “removal” subtraction strategy. We begin multiplication next week! Multiplication home practice books will go home at the end of this week or the beginning of the next. This week students will learn how to make blog comments! Here’s a look at week 13 . . .
What terrific comments you have made! You can be very proud of your accomplishments. I like the theme on your blog. I am looking forward to spelling and math. I’m looking forward to gym and art. I like your snow on your blog. I like the Christmas countdown widget you added. Can you help me get one? This week I am looking forward to gym and arts ed. I like the snow on your blog. Can you help me? I like your Santa count down widget you added! I can’t wait to put one on my blog. Can you help me? I like the snow on your blog! I am also looking forward to computers this week. I really like your new header. I am looking forward to gym and arts ed. I also really like your blog widgets snow.